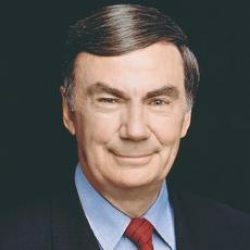 Sam Donaldson is a native of New Mexico having been raised on a farm in Dona Ana County. He is a High School graduate of New Mexico Military Institute and received a BA from Texas Western College (now UTEP). He served two and a half years on active duty in the U. S. Army and achieved the rank of Captain in the USAR. Donaldson was a news reporter based in Washington from February1961 to October 2013, and was employed by ABC News from 1967 to 2013. He covered every presidential election during that time beginning in 1964, with the campaign of Barry Goldwater. Donaldson covered the war in Vietnam and the First Gulf War, he was ABC’s Watergate Correspondent, was twice Chief White House Correspondent covering presidents Carter, Reagan and Clinton, co-anchored the ABC magazine program Prime Time Live with Diane Sawyer, co-anchored the Sunday program This Week with Sam Donaldson and Cokie Roberts and was the founding anchor of Politics Live, the first regularly scheduled Monday through Friday news program in the United States on the Internet. His awards include four Emmys, two Peabodys and the Edward R. Murrow Award. Donaldson has ranching interests in New Mexico and now lives in Albuquerque with his wife Sandra.